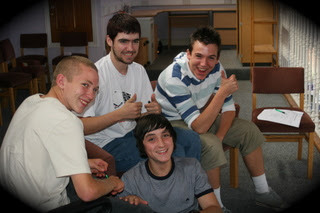 Tonight I was working with a group of 'youngsters' on their film ideas. I like doing talks / lectures / workshops and so on. Not least because it keeps me fresh. Where else do you hear questions such as 'what have you done that means I should care about your opinion?'. I've paraphrased that slightly. How the organisers are running it is pretty much how anyone would do it. Put people into groups and they make a film. Simple! But this can, obviously, result in disagreements and tensions. All the normal characters were there. The point is - this seems like a really tall order to expect this many people who don't know each other to get along and work on a film. Regardless of age. Could you do it? The great thing is - they are. Because of the benefit from the tough challenges and questions they give each other. The room is full off, "why not do this", "this happened to me", "instead, why don't we change it completely and do...". In the end I came around to that way of working having many benefits. The view of the writer, writing alone, at a desk. The way we work, we need to lose that solitary behaviour - soon! And kick ideas around early, together, and have a laugh. Sorry for the less manic blogging. Okay, maybe some of you prefer it. Reading about crazy new ideas can be tiring after all. Thank goodness that most people are too lazy to explore them or else I'd be out of a living. But, as soooo many people have pointed out to me - there are no new ideas. Indeed. Probably not. Just ideas we move around. "Circumference" is just "Google: the movie" really. Which is a great tag line now I think about it. Anyway. As you can see from the above YouTubed vid I have been around the country filming and interviewing interesting people. What is the Platform that I'm on about? It's nothing to do with shoes or trains. In fact its a kind of business version of The Scriptwriter's Life - except that it has serious cash behind it. Obviously interesting things that I learn (new ideas if you must) will be shared here. I'll leave you with a couple of challenges. Are you thinking about how your ideas could be applied elsewhere? Are you getting out and about (that's in the real world, not virtually) and meeting enough new people? When did you last choose to meet someone new? 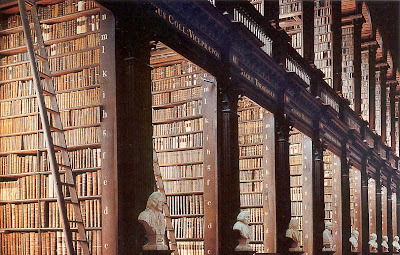 Imagine if they opened a new library. Just down the road from you - a new library. Being perhaps a person who may be described as a 'writing sort' or certainly someone who likes finding out about new things you think it sounds like a great idea. Then imagine that when you go in they tell you that it would take a few days to find the knowledge you wanted and even longer to get a picture. You'd just walk out. The internet has completely changed the way we think about getting our hands on information. But the internet has also changed / is changing / will change how we get our hands on entertainment. Even more crucial to us is the fact that it has changed how we like to digest facts about other people - eg. facebook and myspace. We like to know lots of bits of little detail. We like complex interlinked people. We like music to go with people. We like a richness. We like characters, not long stories. So then, why are we still writing in the old fashioned way? The old pre-library dusty internet way? Fundamentally our minds are changing in the West. Our story method might also. My prediction is... within 5 years we will have a new story structure (a replacement for 3 act) for these new kind of stories. The choice is ours. Do we want to buy the book or do we want to feature in it by the work we do now? If you're not interested then don't worry - you can borrow it from that library. The world changes very quickly. Very quickly. The last 5 years has seen kids owning mobiles, myspace, blogs and other forms of social networking such as youtube. This has fundamentally altered the way that people interact and socialise. But when was the last time you saw this on screen? Its like the last five years never happened. Faced with a story problem its almost as if writers dip into a collective bin of tricks and techniques. This bin was put in place about 20 years ago. 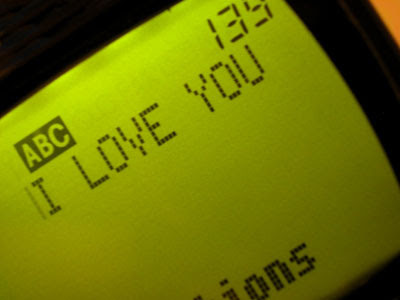 In the bin are old favourites like meeting in the pub, phoning, calling around to see someone. Getting a telegram has only just been retired from the bin. Is it because these new forms of communication are less visual? I'm not sure. They are more visual than getting a phone call for heaven's sake. And certainly more visual and immediate than a letter. So think modern my friends. It's a huge untapped potential to see these devices used in a script. And for those that say - I'm not sure if this would work in a TV drama or a film then I say to you - who cares? You've assumed that writing is limited to these 'old school' formats. In fact everything I see says that writing drama for new devices could be the next big thing. Will it be? Text your answer to the premium rate number... Er, no. I'll get in trouble. Just leave a comment. It's free. Good stuff. Its good because its all things we know. We know we should live the life rather than talk about it. In a way I'm to blame as well. I ramble on about 'get your pitch right', 'think about your personal USP' - all that philosophy. What Clayton's poke in the head reminds us is... and then do it. Funny eh? That's the bit most people forget to mention!!! I met the guys behind Four Eyed Monsters at Berlin earlier this year. And then blog reader Suki emailed me about them today. Why? Because he knows I love new ways to get films made and new ways to get them seen. The film is free but the request from the film makers is for viewers to sign up to spout.com who will pay them $1 for each new subscription. What I like about this idea is that its even more web2.0 than Circumference is as it uses a google-style affiliate funding method. It has a clear goal and its clearly a great solution all round for viewers, for funders and for film makers. I also like the trust element with the audience and the special tie in with YouTube. And I love the viral nature - you can get the code to embed the film (as I've done) straight off their website. No piracy worries there! Have it! My concern is that it perhaps lacks the long term approach of Circumference. What happens next? Does it have a life off-line? Does the material match the format? Does it have a clarity - its free but you can also buy it - can the audience understand that? But you can't deny a good idea when you see it. And we'll be watching results carefully to add extra weight to our proposal. That's what so refreshing about all the film2.0 ideas - a sense of us all doing it together. A common goal - new ways, new ideas, new films. A few days ago I wrote a post on people not really enjoying themselves in the film industry. And then I reflected this back to my blog. Dammit! I've done the same thing here. I've become one of those stone-faced guys. Perhaps a little bit too self-serious. Which isn't my style at all. I might end up wearing sunglasses indoors if this carries on. Why has this happened? How? I've mirrored other people's style of writing rather than discover my own. So today's new idea - is an idea for me. That I should be a bit lighter in my blog writing. I invite you to look at yourselves and your own work. Does it really represent you and your attitude? Too many people pitch the plot. Seems a strange thing to say. But not if you consider how you talk about films, or remember films. You often latch onto other things. Its these 'other things' that make the film one of your favourites or made you want to buy it. So pitch them. Whatever it is - let's hear about it. And hear about it upfront. The plot can then follow. 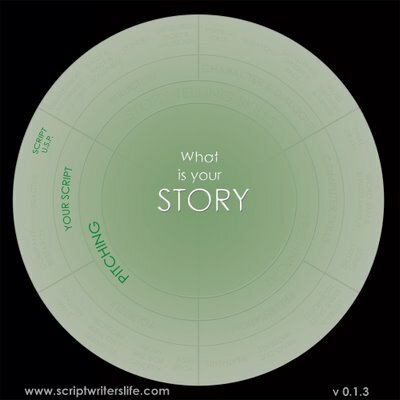 With so many scripts in the market place then your pitchee needs to know what makes your film different. And quickly! 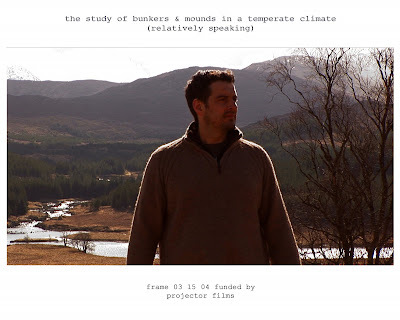 here it is, handpicked for you, and with the actual time code and your name on it: the frame you've funded in our short film "the study of bunkers & mounds in a temperate climate (relatively speaking)". It knows its audience but more than that. It really understands its target audience and unapologetically tells them a story in the way they want it. In 'real adult' programmes you don't see the same clip twice, you don't have characters who can't speak properly. 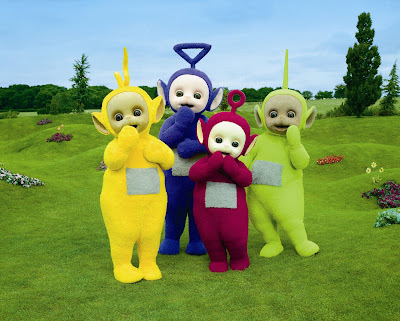 Heck, in Teletubbies even the world doesn't make sense - to us adults. But to the pre-schools it is completely as they see the world. It does make sense. Now think about your script. Does it go beyond merely appealing to your target audience? Does it live in their world? Is it their world? Is it told in their way? An example - horror. Who the hell is scared of a lonely log cabin? I've never seen one. And if I did then I'd text my mates about it because nowhere in the world is now out of contact. The most horrific thing for kids these days - losing their entire social networking structure that has taken 3 years to build. Now that's scary. Some proof that the guys at Microsoft (but equally Google, Apple etc) are more imaginative and more capable of painting a picture of the future than most film makers and writers.